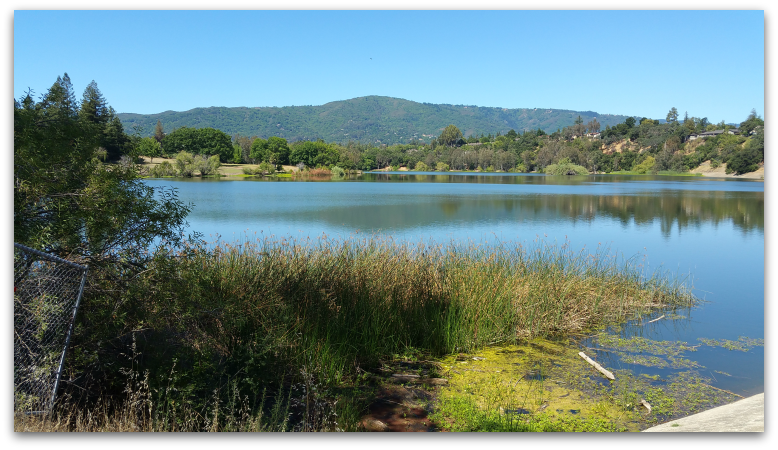 One of the easiest Silicon Valley commute locations in Los Gatos lies just off Lark Avenue, between Winchester and Los Gatos Boulevard, at the base of the scenic Vasona Lake dam. To the best of my knowledge, this area doesn’t have a name, so let’s call it the Arroyo Grande and Garden Hill neighborhood, after the major roads that run through it. Here there are about 200 houses, most of them built in the late 1950s and originally selling for $20,000 to $30,000. The majority have been remodeled and a few rebuilt, and some just weren’t constructed until much later, so the average year built is 1963. Today you’ll find that these houses are mostly selling a little over $1 million, depending on house size, lot size, remodeling, view, proximity to the high voltage power lines, proximity to busy roads, etc. it goes up from there. This is a “good value area” for the high quality of schools and for many home buyers, that’s the # 1 priority – get into the best schools you can afford. Most of these properties began modestly – typically about 1200 SF of living space. Today there are a handful of homes at 900 SF and one at over 3,000 SF, but the average home size is 1483 – still quite small by Los Gatos standards. Maybe 25-30% have been added onto. The lot size also varies with the tiniest at 5,000 SF and the largest at 21,000 SF, but typically about 7900 SF for most parcels. In addition to a faster, less complicated commute (due to the close proximity of both Hwy 17 and Hwy 85), this area has lots more to offer. First and foremost, this neighborhood is served by the Los Gatos Union School District. It’s probably the most affordable, entry level area of houses to get into “the schools”, making it a very popular target of home buyers’ attention. 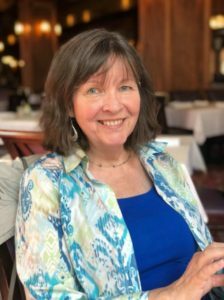 It’s bordered on one side by the beautiful Los Gatos Creek Trail, which makes a nice path to either downtown Los Gatos in one direction, or Netflix in the other. Virtually every street is graced by trees in the strip between the sidewalk and the road, providing a very pleasant and welcoming feel to the area. 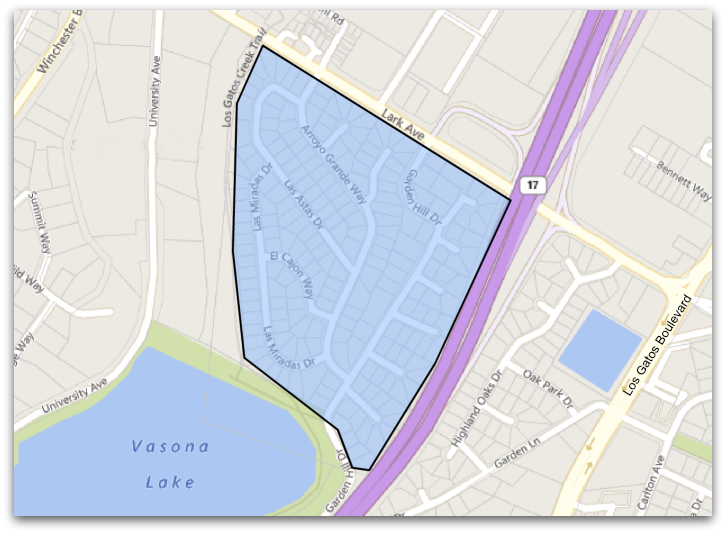 This little community boasts a neighborhood park, easy access to shopping, bus lines, and more, but perhaps most especially to Vasona Lake itself. Here’s a view from the dam – just off of Garden Hill Road. It’s an easy stroll to Trader Joe’s from most of the neighborhood, for instance. No neighborhood is perfect or without compromises, and this one is no different. There are reasons why some people may pass on this part of town. 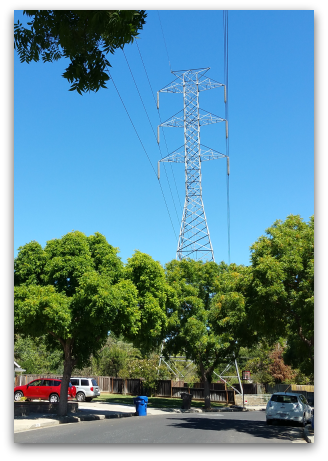 Most likely, there are two or three main issues: first and hard to miss are the high voltage power lines that run through the middle of this neighborhood. Secondly, the majority of this area sits below the dam…and the dam may be sitting on or right next to an old earthquake fault, the Shannon Fault. That’s really not ideal. And finally, part of the neighborhood is adjacent to highway 17 – that will be noisy at best. 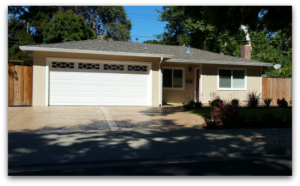 If you are looking for a good bang-for-your-buck with schools, a shorter commute, walk-ability, and close access to Vasona Lake and the Los Gatos Creek Trail, I want to encourage you to check out this tree-lined neighborhood. Many of the lots are big enough to add onto later – as many of the neighbors already have done. You’ll appreciate the convenience and the scenic beauty!